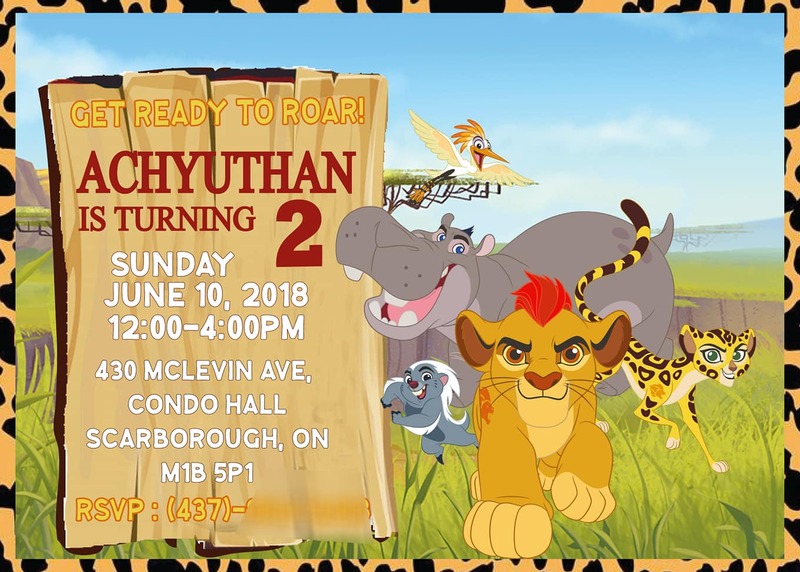 Having two boys, with birthdays three weeks of eachother equals to one big birthday party for both. However, since the boys are four years apart, finding a theme that they would both enjoy can be a bit tricky. 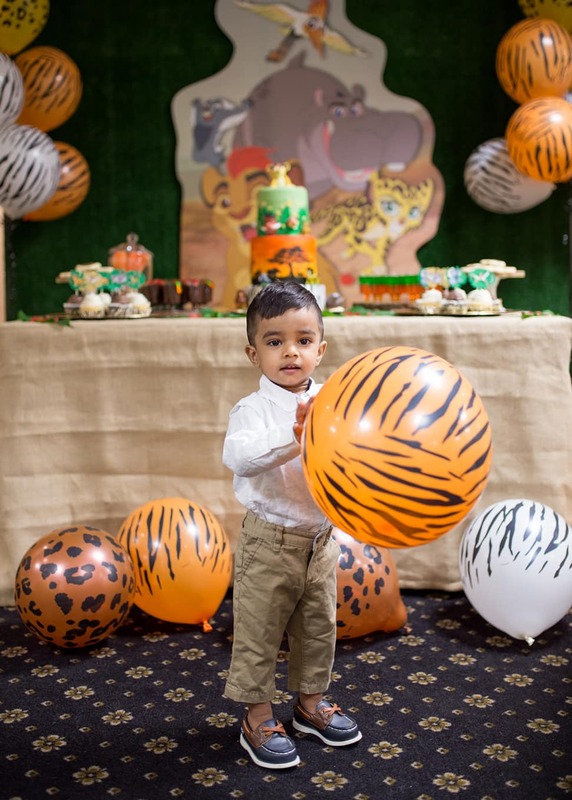 Last year, I organized a carnival theme for Vishnu and focused on a magic theme for Karthik. Fortunately both themes correlated and it worked out well. This year, and I imagine future years will serve as a challenge. 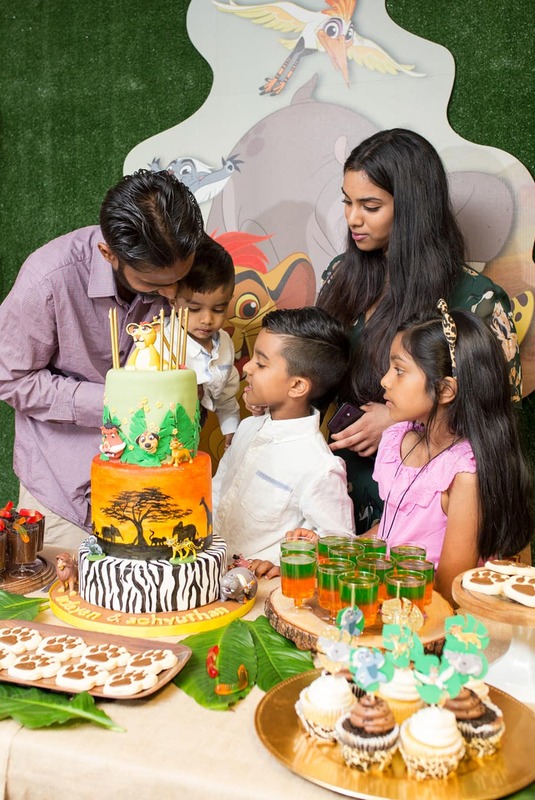 The theme the boys both settled on was Disney’s “The Lion Guard.” Karthik is a fan of the show and Vishnu loves lions, hippos, and zebras. Every year I mention that I wish I had had more time because I end up rushing and stressing over last minute arrangements. 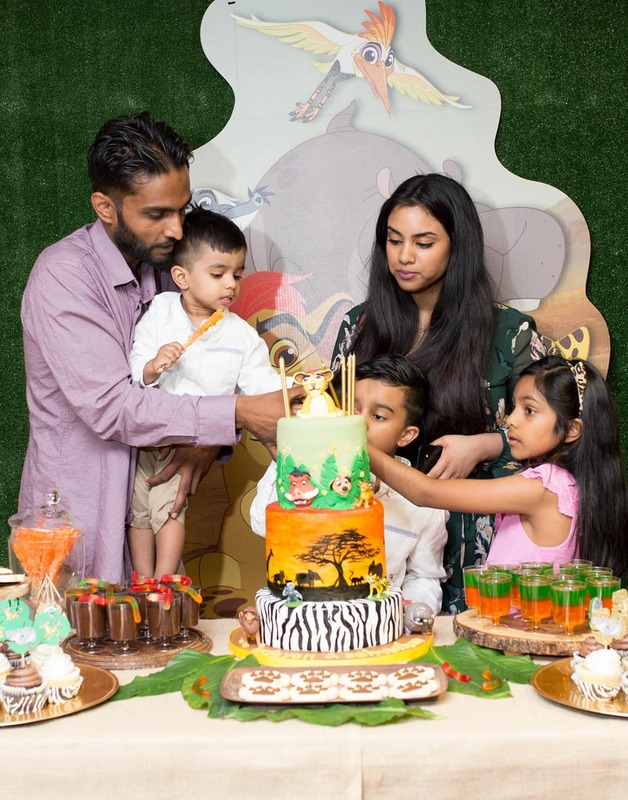 I think I have finally learnt my lesson after this party, because I have now slowly started to plan my daughter’s 8th birthday which will be in December. 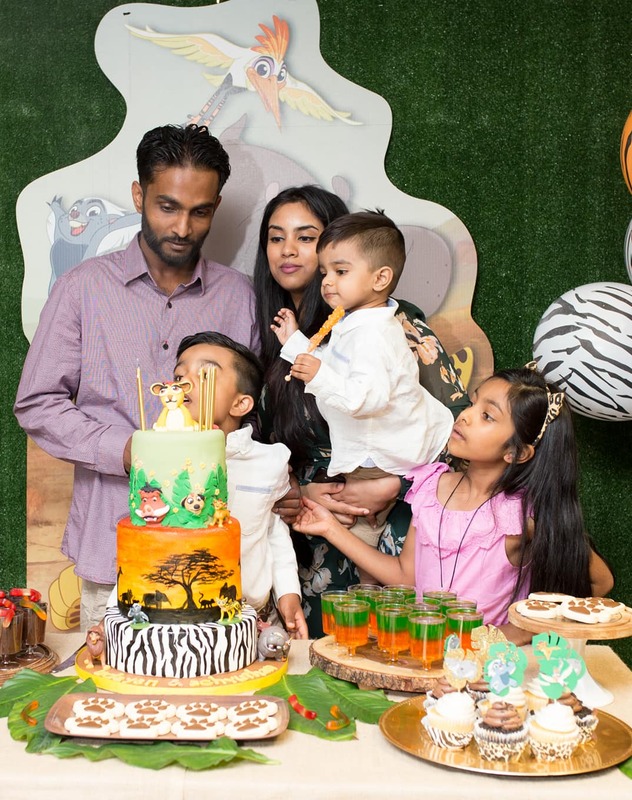 Getting back to the boys’ birthday – it was so much fun to execute! 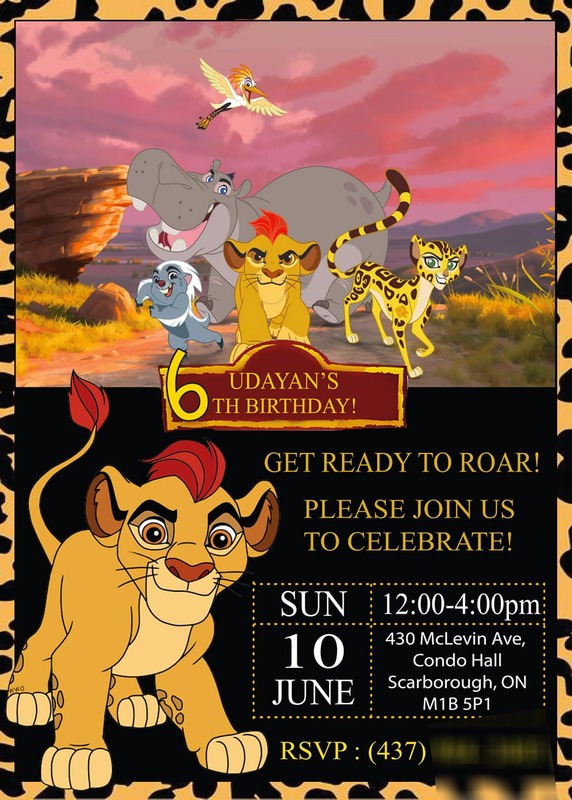 The very first thing I did was get invitations designed for both boys by Amily of AR Inks. Amily is so talented at coming up with exactly what you ask of her. From my logo, to these invitations, and all her work that is up on Instagram, you can see that she not only has talent but she has a passion for design. 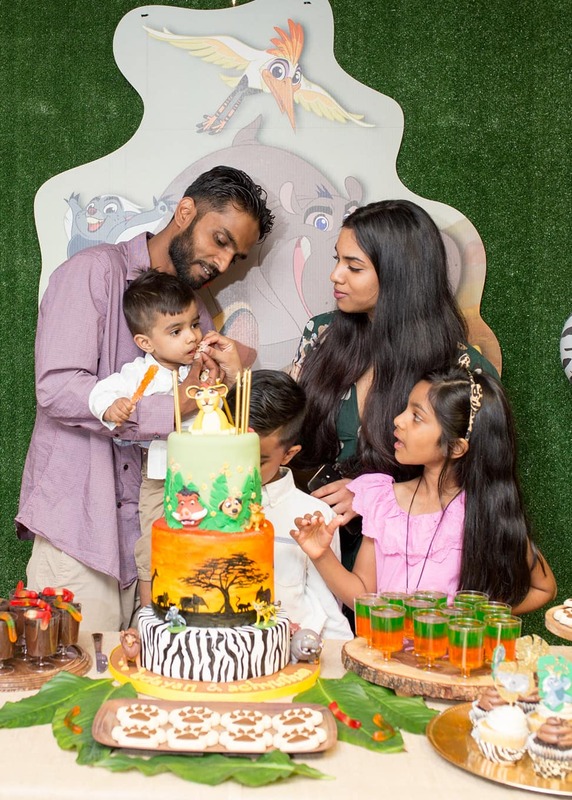 She executes everything so perfectly and only delivers when she is 100% happy with her creation, which is probably what I love about her the most. 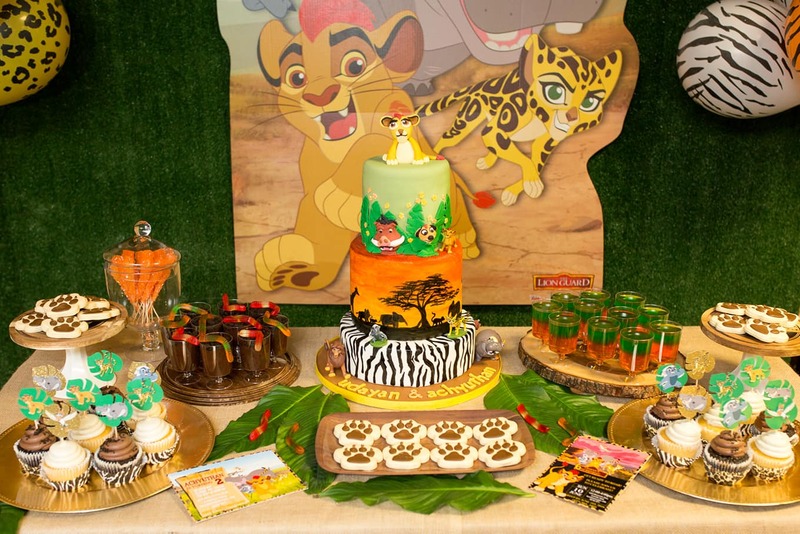 I was thrilled when I found “The Lion Guard” cardboard cut-out on the Party City website. For $40, it was quite reasonably priced and really completed the grass wall backdrop by Fleur Design and Décor. 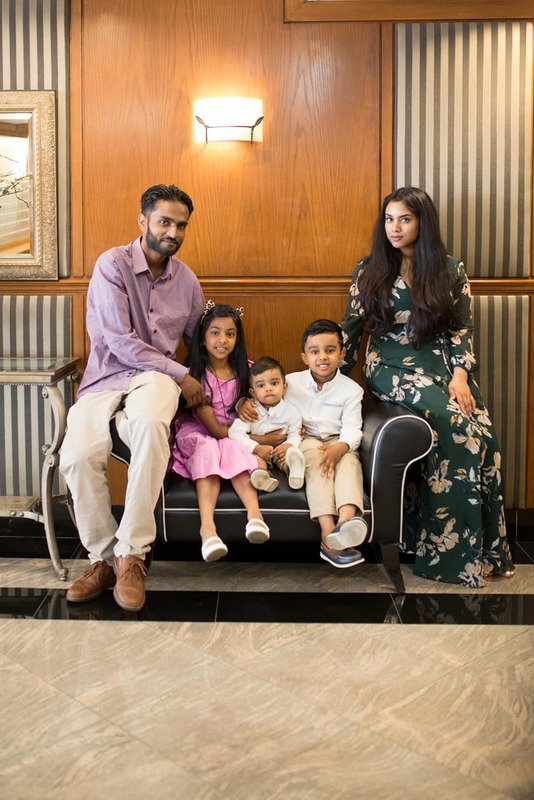 I worked with Mandy and Rippu last December, when they set up the beautiful floral wall for Akshaya’s 7th birthday and was excited to work with them again this time around as they are punctual and get the job done quickly and effectively. The girls also accommodated my last minute request of attaching my cardboard cut-out to their wall, with such ease. The cake table was covered in a burlap tablecloth that I had rented from Vineetha of Vins and Pins. If you are looking to rent tablecloths, décor, cake stands, etc, she is definitely worth contacting. 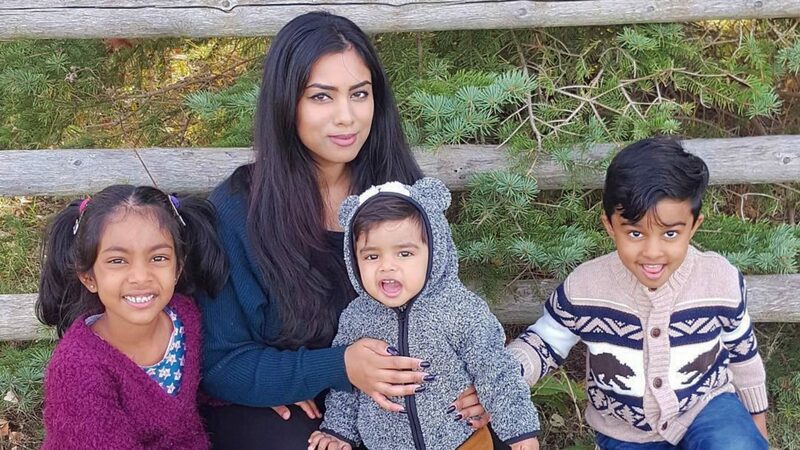 Vineetha’s rental prices are very affordable and she has awesome suggestions and tips as well for you to achieve the look you want. The cake as usual, was made by me! 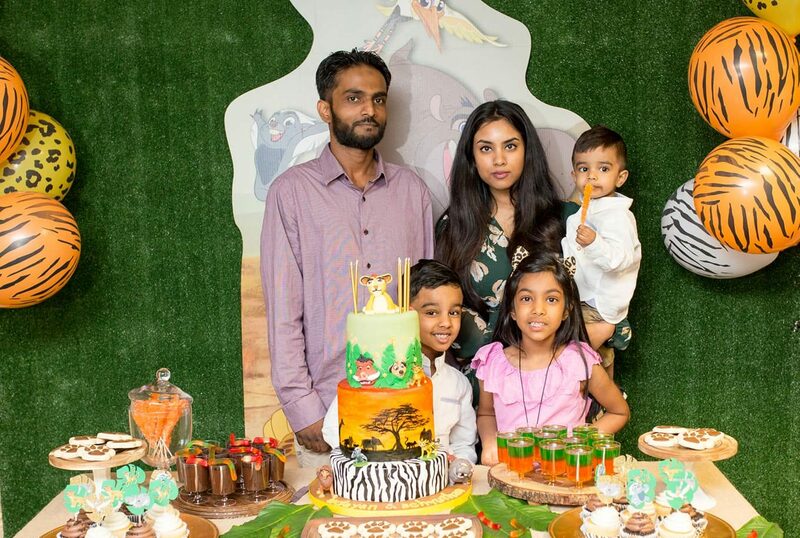 As stressful as it is to make a cake for a party that you are planning and hosting, I enjoy doing it for my children. This year I opted to make one huge cake for the boys, rather than two separate ones like the previous year. It was so much more easier on me this way and the boys didn’t care to have their own so it worked out perfectly. The design for the cake was inspired by an almost identical cake design I had seen on Instagram months ago and forgot to save. 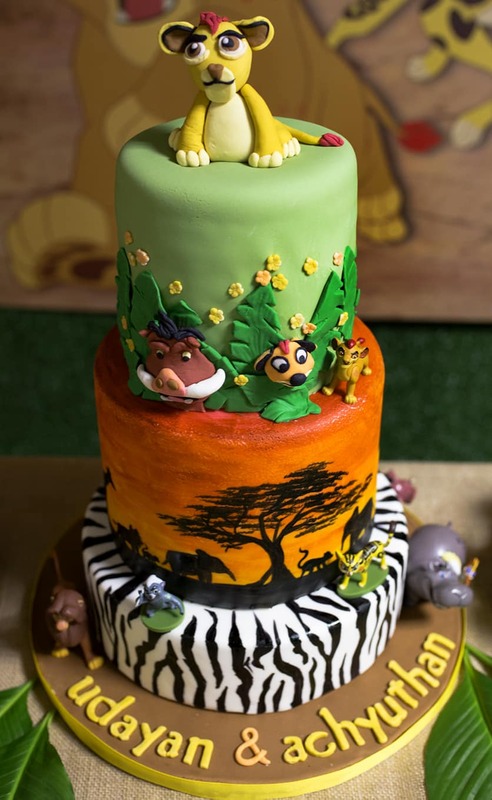 Everything on the cake, minus the small toys, are edible and handmade by me. I also attempted painting the bottom two tiers and was quite thrilled with how the whole cake came together. 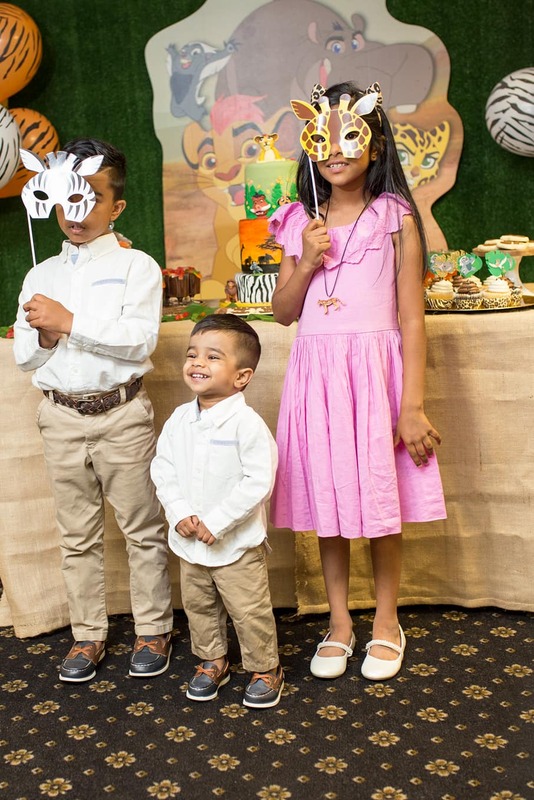 Karthik and Vishnu both adored the cake, especially Karthik who admired every single tiny detail over and over again. This time around, I kept the sweet table quite simple in terms of dessert. 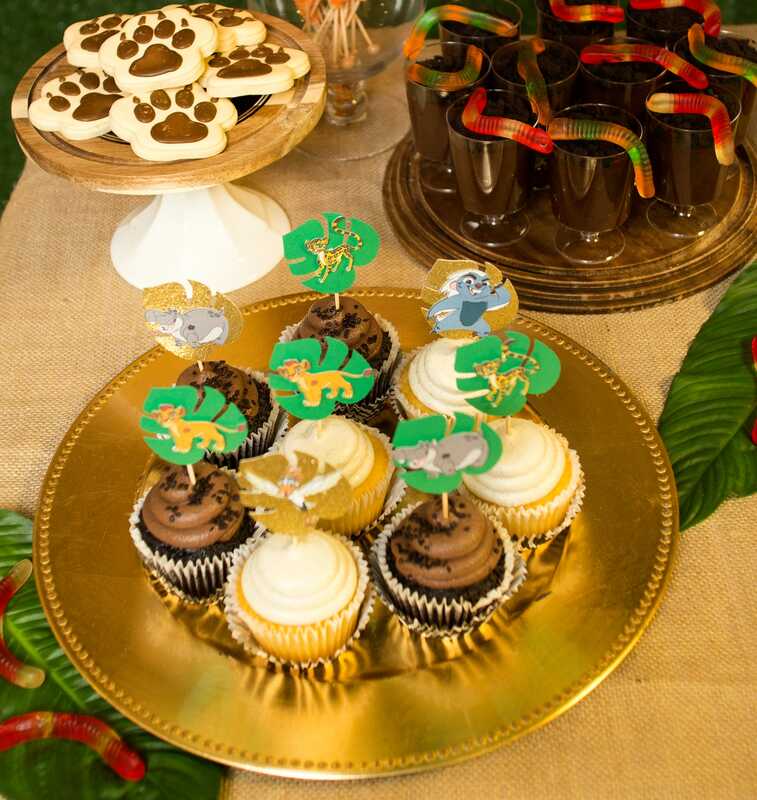 We had both vanilla and chocolate cupcakes topped with gorgeous cupcake toppers by my favourite, Dhanya of DNR Décor. She also made me the loot bags that will be featured a bit later on. The Jell-O and pudding cups were made by one of my dearest friends and her three-year old son. 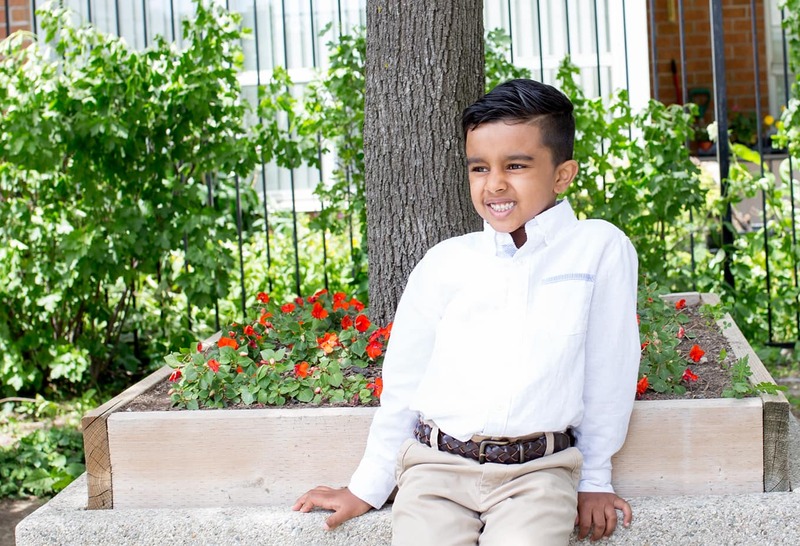 They were definitely the most popular dessert items amongst Karthik’s friends from kindergarten. 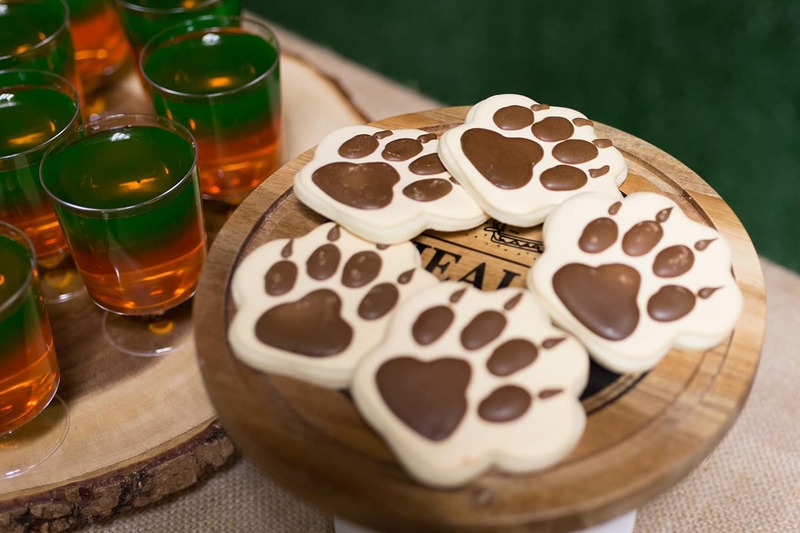 We also had paw-print sugar cookies made by the incredibly talented Kirsten of Four Sweets Cookies.The cookies not only looked neat and beautiful, they tasted amazing. I added one cookie to each loot bag and the guests loved them! Do check out Kirsten’s Instagram page for the most amazing batches of sugar cookies. 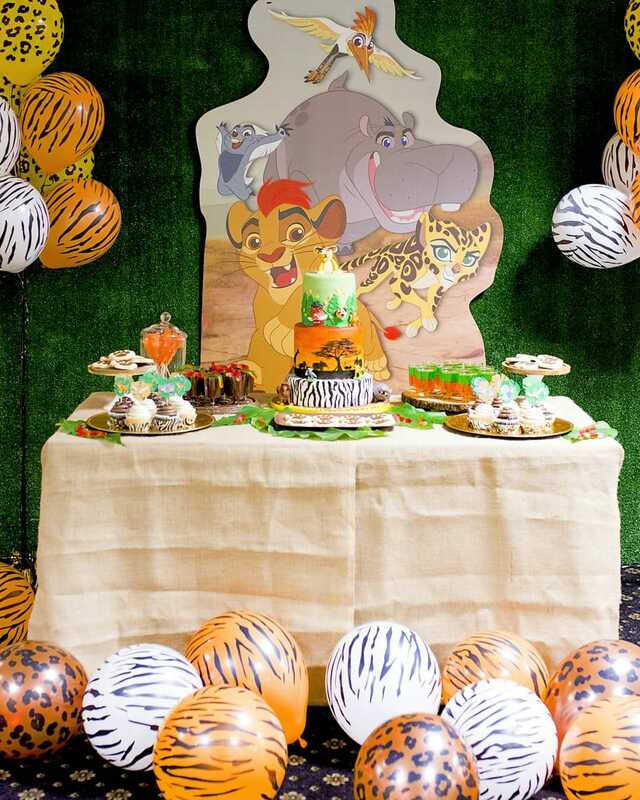 The animal print balloons really added a nice touch to the Lion Guard themed birthday party. 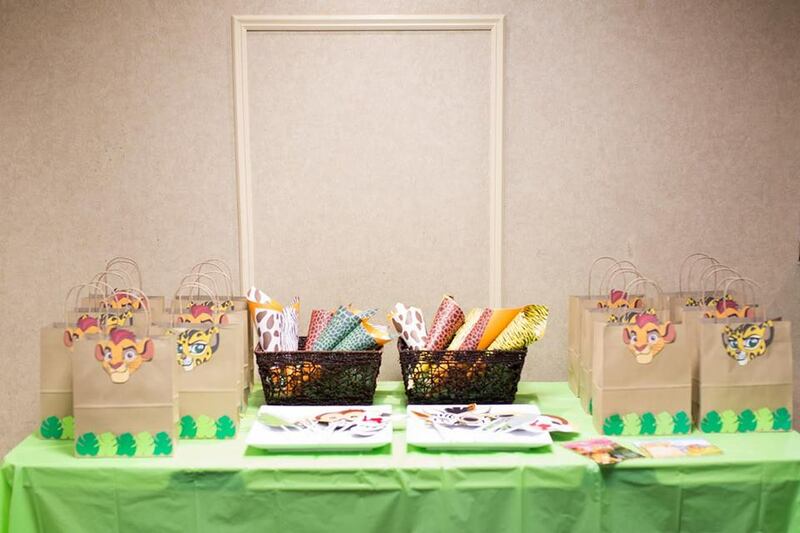 The Lion Guard theme continued onto our loot bag table, which consisted of popcorn in animal-print popcorn holders made by Vins N Pins, loot bags by DNR Décor, and safari photo props from Party City. The loot bags were filled with bubbles, play-doh, juice boxes, stickers, a ring pop, and lots of treats. 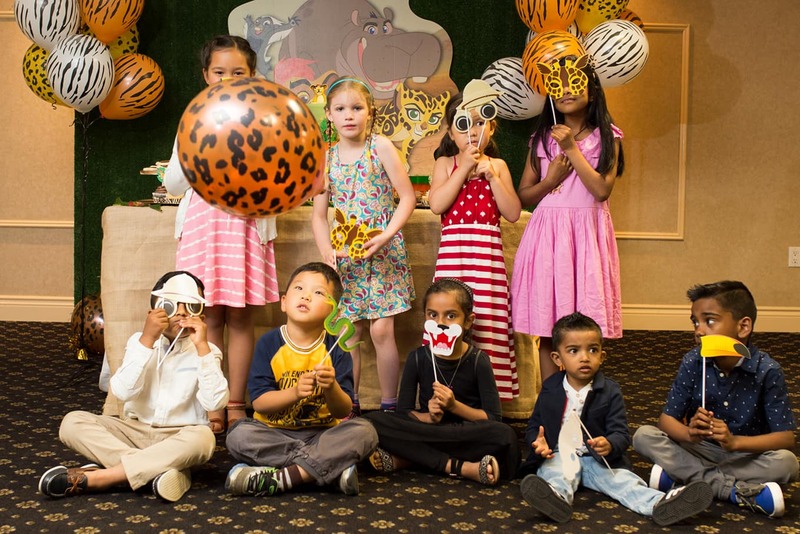 No party is complete without entertainment! To keep Udayan and his friends and cousins entertained, I set up the kids table with colouring books and crayons. 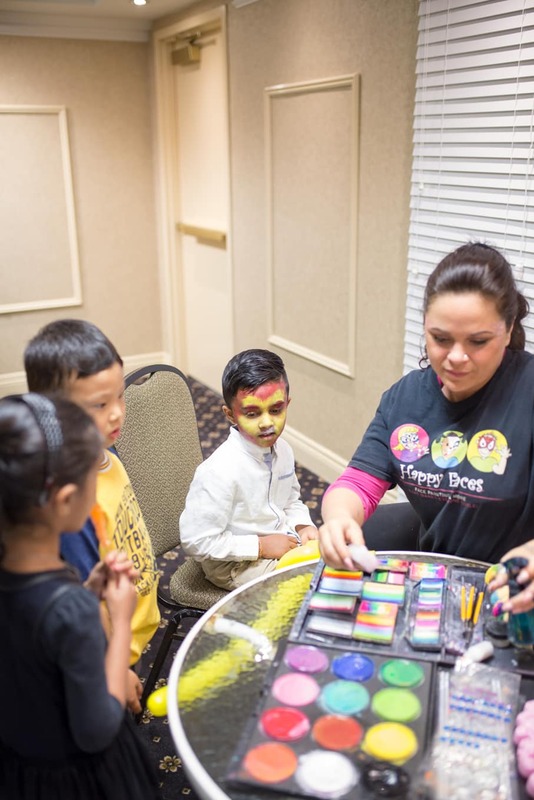 We also had Alannah from Happy Faces Inc. arrive to paint faces and twist balloons. This is the second party at which Alannah was present, and I just have to mention how awesome she is. Not only is she super talented, she is also so friendly and funny – The kids adore her! 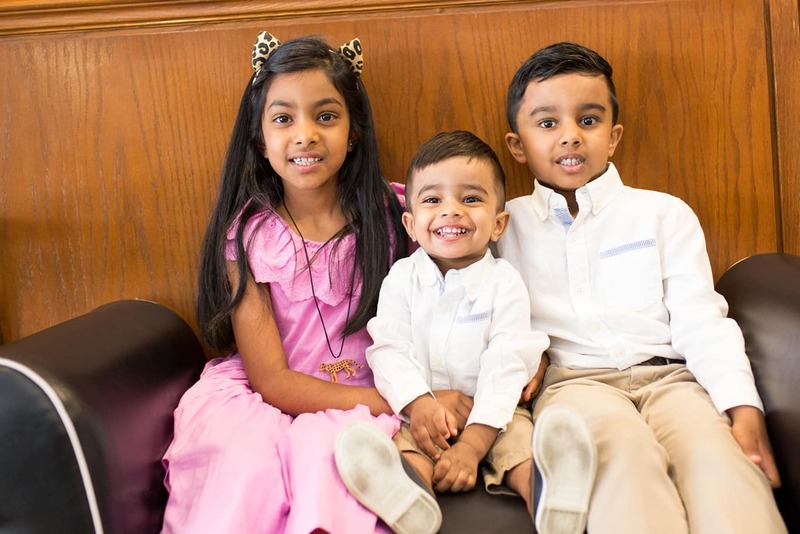 Last but not least, I have to mention our wonderful photographers Rishi and Jana of KlickSnap Photography, who effortlessly made the children feel comfortable enough to smile and cooperate for pictures. The way they both work with children and the amount of patience they have is so admirable. These are some of my favourite pictures from the party! Thank you to all the vendors, friends, my sister, and parents for helping make the boys’ birthday party a huge success!